The world’s most popular music streaming services will be receiving a significant addition to their collections coming Christmas Eve. Music streaming services, such as Apple Music, Google Music, Tidal, and Spotify, will be welcoming the entire music collection of The Beatles into their arsenal for the first time come December 24th. That means that not only will subscribers of the services be able to enjoy the festive compilation of an assortment of songs, but will also be able to stream some classic hits from arguably the world’s most famous band. Fans of The Beatles have been waiting for the band’s full music collection to hit the servers of streaming services for quite some time. There was however a fear that certain music streaming services would attempt to boost subscriptions by negotiating an exclusivity deal for the back catalog of The Beatles. Those fears have been put to bed as it now seems that not only will The Beatles collection be available come Christmas Eve, but it will also be available pretty much across the board on all of the popular music streaming services: Apple Music, Spotify, Google Play Music, Tidal, and even Amazon Prime Music. 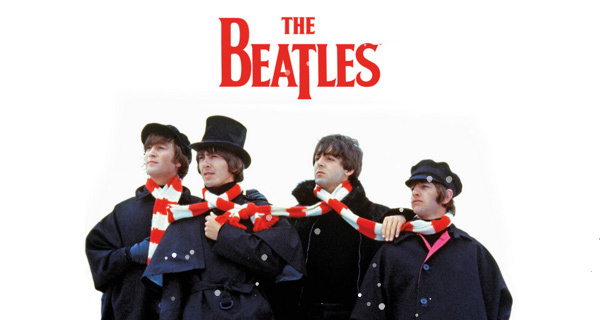 The addition of the entire collection of The Beatles, pretty much cements the fact that streaming is fast becoming the de-facto choice for those who want to listen to their favorite tracks. The release of such an iconic muscle collection is undeniably a double-win for services like Spotify, Apple Music, and Jay-Z’s Tidal, but the release does come with a few restrictions. The extremely popular Pandora music streaming service won’t be getting access to this on-demand collection due to the fact that it doesn’t negotiate deals directly with music owners. Pandora does carry certain songs from the English band, which are available via its own web radio service at the moment. It’s also worth noting that the deals that have been struck with the owners of the content means that subscribers on a free tier of services like Spotify, will also be able to access all of the library. This does come with service-based limitations like listening to ads every so often. The Beatles were introduced to iTunes back in 2010, and have now made the jump to the future of digital music; streaming.